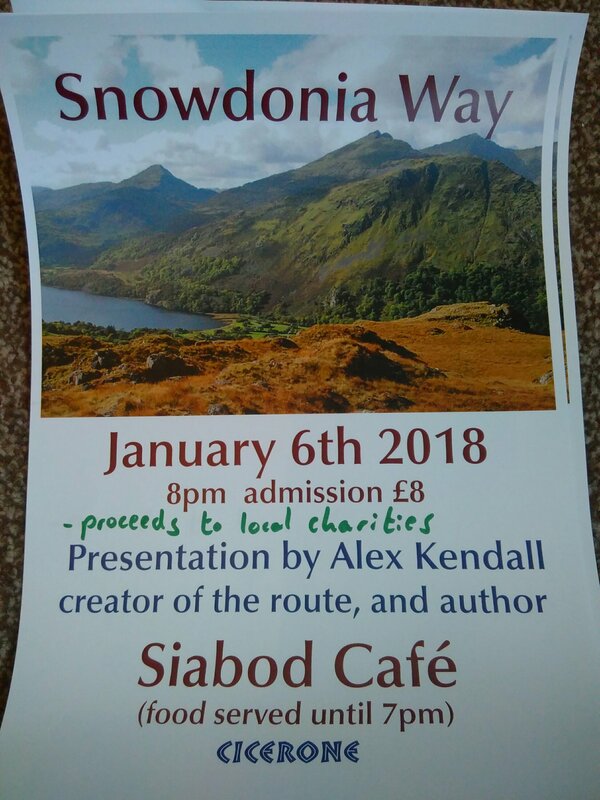 Come along for the evening and find out about the Snowdonia Way from the guidebook author. Stories, what it’s like, and how it came about! Cost: £8, to be split between two local charities, the BMC ‘Mend our Mountains’ fund to repair a path on Cadair Idris, and the local campaign to raise money for a defibrillator in Capel Curig. Next Next post: 25% off the guidebook!